Welcome to Tanglwood Resorts, one of the Pocono’s finest vacation resort facilities. Our professional staff is dedicated to the philosophy of “Guest Satisfaction“. Our goal is to provide you with enjoyable and comfortable accommodations. Whether you have planned a quiet relaxing getaway or a vacation filled with activities, you have chosen the perfect location. 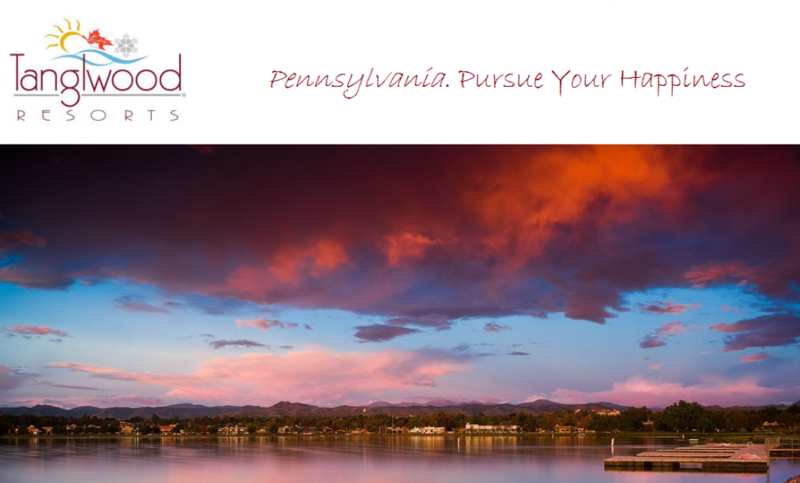 Enjoy all that Tanglwood has to offer to enhance your stay by taking in all the sights and sounds that are distinctly in the Poconos. Vacation options abound in strategically situated condominium clusters with three locations spread across seven scenic miles. You can stay right on Lake Wallenpaupack, on the first tee of the 18-hole golf course, or within the Main Area of the Resort itself. Tanglwood Resorts is easily accessible and offers four seasons of family fun. Guests of Tanglwood Resorts can take advantage of the areas various activities. Whether it is skiing or tubing at a local ski area, fishing and boating on Lake Wallenpaupack, horseback riding, or seeing candy being made. There are miles of hiking trails where you can enjoy the Fall foliage or just be one with nature. As a guest at Tanglwood, you may also take advantage of discounts at various restaurants and ski areas. Tanglwood Resorts offers 40-one bedroom units and 34-two bedroom units. Each condo is available to exchange through Resort Condominiums International (RCI) 800-338-7777 or Interval International (II) 800-828-8200. If you are interested in exchanging your week into Tanglwood Resorts, please contact your exchange company for availability. For nightly rentals, contact the resort at (570) 226-6161, VRI Central Reservations at 800-228-2968 or http://www.8664myvacation.com for availability and pricing. *Tanglwood Resorts buildings and condos are smoke-free. There are designated smoking areas, please inquire with front desk.